Born and raised in the Tohoku region of Japan, Kozue Matsumoto is a traditional and contemporary koto artist currently based in Los Angeles. Matsumoto, having played the koto since she was three years old under the tutelage of Ikuta-ryu Miyagi-kai, holds a semi-master title in the koto arts. Not only does Matsumoto play traditional, contemporary, and experimental music, but she also improvises, composes, and creates digital art. Matsumoto has performed in various festivals and venues including MicroFest; the Lucas Artists Residency at Montalvo Arts Center; the Improvisation Summit of Portland; PICA’s Time-Based Art Festival; SASSAS’s soundSpark music series; the Washington Street Art Center; the Vancouver Inter-Cultural Orchestra; the Vancouver Chinese Music Ensemble; and The Fuse Factory Electronic and Digital Arts Lab. Through inter-disciplinary collaborations and performances with musicians, dancers, and visual artists throughout North America, Matsumoto has developed a strong interest in exploring the possibilities of traditional Japanese sounds and performing arts beyond their conventional contexts. 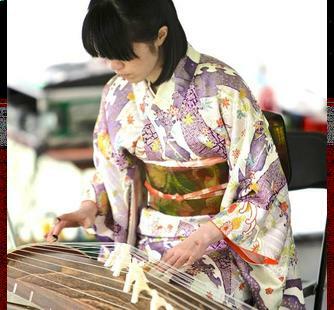 She is currently working on integrating koto sounds with computer technology to create novel koto experiences. Matsumoto received her MFA in Performer-Composer studies from the California Institute of the Arts in 2016 and has previously studied improvisation, composition, and music technology with Susan Allen, Vinny Golia, Eyvind Kang, and Ajay Kapur.